MiVoice Office Application Suite delivers a range of features on top of you MiVoice Office 250 telephone system. Whether it be unified communications, mobile connectivity, call reporting, call recording or outbound dialing, MiVoice Office 250 customers can benefit from the enhanced performance, all delivered from a single server solution. How many calls does your business receive, and do you know where they are coming from? Existing customers or new business? How quickly do calls get answered and critically how many aren’t actually answered? Call reporting provides you with this information in a structured and simply to use format. disputed calls to be quickly located, reviewed and emailed onto the relevant parties. 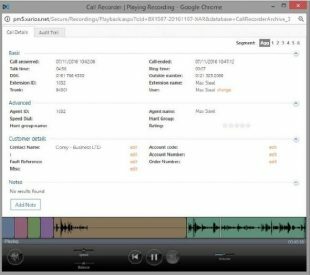 Call recording is an essential tool for both training and mentoring staff members and can be critical in complying with government legislation and standards of industry/professional bodies. A powerful productivity tool, Mitel Phone Manager brings on screen call control as well as presence, directory access and ‘click to dial’ capabilities to your MiVoice Office 250. Mitel Phone Manager, also gives you a personal call logging module and if you have MiVoice Office Call Recorder on your system, calls can be played back from your Mitel Phone Manager on screen client. 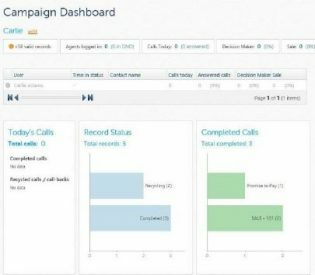 Mitel Phone Manager integrates to the leading CRM applications, enabling ‘screen pop’ of customer’s details to be displayed at the time the call is answered, and call to be made directly from the customer’s record using a click to dial function. 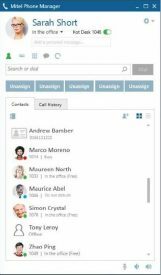 Extend the features and functionality of Mitel Phone Manager desktop to your smartphone – see your colleague’s status/availability whilst you are mobile and call them with a single click. Instant access to your personal and company directories, and keep track of all inbound/outbound calls using the Call History feature. Mitel Phone Manager Mobile offers an optional softphone capability, which enables calls to be made free of charge when connected to WiFi or a 4G network.